This is just a small extract of an interview with Sir Bruce Forsyth with his contribution and memories of the Talk of the Town and his friendship with Sammy Davis, JR. Sir Bruce, who has so far notched up an incredible 72 yrs. in show business, is still full of vigour and energy to match any youngsters today. His wonderful stories and tales, and memory so sharp, it was as if every story happened yesterday and the past became the present. Sir Bruce holds the joint record with Frankie Vaughan for the most performances at the “Talk of the Town” and came back to the Hippodrome recently to unveil a plaque in his honour. The Talk of the Town is a big feature in the Hippodrome Documentary as it was one of the longest running cabaret shows form 1958-1982 and featured so many big stars, sadly not all of them are alive today but we have been lucky to get a few who have contributed to the Hippodrome documentary and have shared their memories and stories with the eloquence and glamour that was “Talk of the Town”. We are currently in production filming the development of The Hippodrome Casino, London. The Casino is currently the biggest in the UK (38,000 sq. ft.) and is a 24-hour operation with premium mass-market appeal. The documentary is set to capture the modern day development and project, its creative vision and grand scale restoration, giving it depth with past history from the 1900s through to the present day. With informative and entertaining content and celebrity interviews, our ultimate aim is to give viewers and accessible overview of the magical building, revealing secrets and telling tales of its rich past and exciting future. Distribution first option Lionsgate. Said distributor is also helping Queen of Extreme to broker a deal with other UK and international broadcasters. A profile of architect Frank Matcham and his inspiring design of the complex. Harry Houdini’s historic performances at the complex. The sites days as a purpose-built circus and the host of characters and acts that performed there. The venues years as a theatre, when it played host to a number of variety, pantomime, ballet, revue and musical productions. The Talk of the Town era, when audiences watched cabaret performances featuring a host of British and international star names. Peter Stringfellow’s reign during the sites period as a popular nightclub. 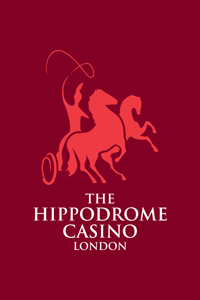 The regeneration and reopening of the venue in 2012 as The Hippodrome Casino, helmed by father and son team, Jimmy and Simon Thomas respectively. The Hippodrome’s plush new cabaret room and gaming areas. Queen Of Extreme productions are excited to announce the TV format “The Greatest Athlete” we introduced to Lionsgate, has now combined forces in an exclusive worldwide deal. This is an exciting project in which we are happy to be involved – the timing is right with success of the Olympics lifting the sporting profile of many athletes. This project would certainly keep our thirst for sport alive! We are working with Lionsgate Films UK on several projects. Lionsgate are expanding their TV division in the UK. We are working with them on new formats for the UK market and international distribution. We have already brought Most Haunted to Lionsgate to create a successful partnership. We are also working with them on video marketing to optimise the presence of their portfolio through the various multimedia channels. We have always had a long relationship with Lionsgate and they have been a great support to us.